Loudoun County Republican Committee Chairman Jim Bonfils will seek election to the Broad Run seat on the county Board of Supervisors, a seat to which he has previously been appointed. Bonfils was appointed to the seat in late 2015 to finish the final months of former Supervisor Shawn Williams’ term, who resigned after his arrest for assault. Bonfils said he will resign his chairmanship of the county Republican committee. According to the press release announcing his campaign, Bonfils’s priorities include improving Loudoun’s transportation network, better housing options, safer schools, and creating more recreational opportunities. Bonfils is a familiar face to many in Loudoun, including as a founding board member and treasurer of Loudoun Youth, Inc., chairman of the Goose Creek Boy Scout district, a member and past chairman of the Loudoun County Parks and Recreation Open Space Board, a past member of the Loudoun County Advisory Council on Youth, and a 20-year board member of the Loudoun Youth Soccer Association, where he also served as president, treasurer, referee and coach. He was appointed to the Loudoun Water board in 2016 and serves on its Audit and Capital Improvement Program committees. Bonfils works as director of federal accounts for Western Digital Technology. He has also been a sales executive for Hewlett Packard Enterprise, SanDisk Enterprise Solutions, Cisco and Radware. He and his wife Terri are members of Saint Theresa’s Catholic Church and have three daughters who live in the area. 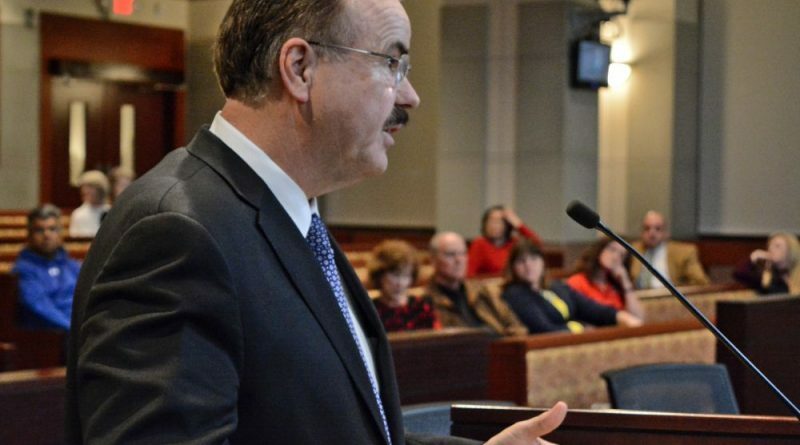 In his press release, he also supported an idea from Sheriff Mike Chapman and Whitbeck to place a School Resource Officer in all 58 Loudoun elementary schools, a proposal that Chapman did not include in his budget request to the county and which was met with skepticism from some fellow Republicans on the Board of Supervisors. Bonfils seeks to replace outgoing Supervisor Ron A. Meyer Jr. (R-Broad Run), who is in a three-way primary race to run for state Senate. His campaign treasurer, Carol Kost, is a fellow founding board member and chairman emeritus of Loudoun Youth, Inc., also serves as chaplain of Ashburn Volunteer Fire and Rescue. 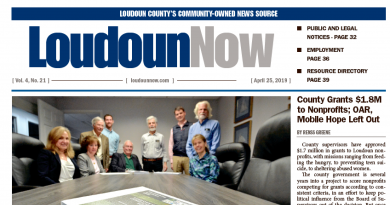 County employees can’t afford to live in Loudoun because the previous Republican controlled boards stalled salaries. They also killed benefits for County employees. Main reason there is a classification and compensation study going on and Loudoun is 20% behind the region.